Thank you for visiting Eastbaydrywall.com, our home on the web. 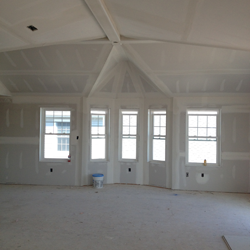 We are a drywall company serving the Atlantic, Cape May, and Cumberland counties in Southern, New Jersey. For a free no hassle quote call us at 609 780 3014. Or email us at ben@eastbaydrywall.com. We can now accept plans by email. 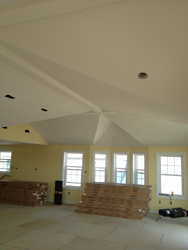 Just email your plans to ben@eastbaydrywall.com and we will respond with a quote. "Honesty, competetive pricing, and high quality of work, makes Eastbay Drywall an easy choice." "With many years experience in General Contracting, I can honestly say that Eastbay Drywall has earned our respect as the best Drywall Contractor we have ever worked with. Ben & Lou Descala operate Eastbay in a manner that is an absolute pleasure to do business with. From on time scheduling, top quality work, attention to detail and highly competitive pricing, there is no better value than Eastbay Drywall for your drywall needs." "Thank you for your consistent excellence and attention to detail, all in a timely manner. EastBay Drywall is second to none! You make my job easier!"